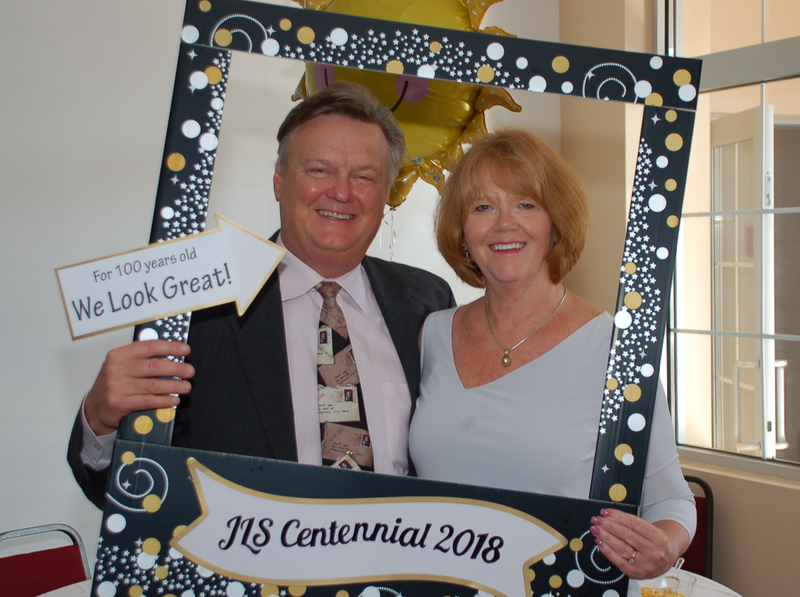 November 16, 2018 Brockton, MA— A roomful of live music, a buffet of good food, a host of satisfied customers, and distinguished dignitaries from southeastern Massachusetts and the nation’s capital set the stage for the 100th anniversary of JLS Mailing Services in Brockton on October 5. It was a landmark event for the innovative company founded as Joyce Lettershop by Elizabeth Joyce Braddock in 1918, two years before American woman were allowed to vote. It celebrated ten decades in business, the rebounding vitality of Brockton, and the bountiful energy supplied by the banks of solar panels on the roof of the company’s sprawling physical plant that power the lights, phones and high technology the company uses to print and mail millions of marketing materials, invoices and statements. Tom Day (l), Chief Sustainability Office of the USPS and Leo Raymond, Managing Director, Mailers Hub, were in attendance. 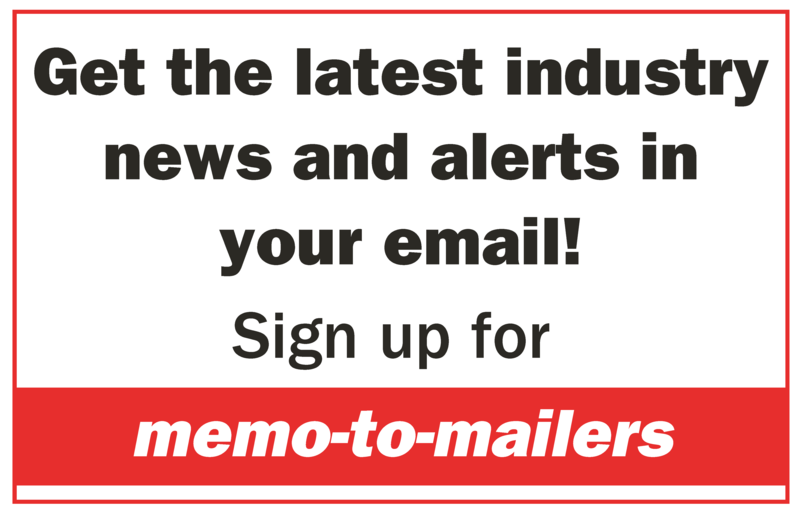 The event was highlighted by short speeches by Brockton Mayor Bill Carpenter, Tom Day, Chief Sustainability Office of the USPS and Leo Raymond, Managing Director, Mailers Hub; and renowned print and mail expert Frank Romano. The music, toasts and dancing began late afternoon and ran well into the evening. Mr. Carpenter also presented a citation recognizing JLS’s ongoing contribution to Brockton. Although unable to attend, Massachusetts Governor Charlie Baker provided a citation congratulating JLS on this milestone of operation. Copies of both citations, along with a variety of other artifacts, were placed in a time capsule that will be opened in 50 years, in 2068, at the 150th anniversary celebration. The gala event was also the launch of the JLS Mail Museum, the only institution of its kind in the United States. JLS president James Clark (pictured in top photo with Maryann Clark and above with Jonathan Clark) has collected a wide variety of mailing industry equipment and memorabilia that will be part of the museum, much of machinery that once represented the leading edge of mail addressing and handling technology. It will all be part of a growing exhibit that showcases the devices that started the United States on a path to where it now accounts for nearly half of all the mail processed in the world. JLS has been a part of the growth of mail and continues to underscore the importance of mail as a means of secure, reliable communications, even in an increasingly digital age. The company has already collected donations to support the start of the Elizabeth Joyce Braddock Mail Museum and founding contributors’ names will be included in the time capsule when it is sealed later this year. For information on making a contribution call 1-866-JLS-MAIL. There are few events as satisfying as a neighborhood party that celebrates success. And on October 5th the excitement and satisfaction of JLS customers, staff and all attendees was in the air as everyone raised a toast to a company that had its roots in vision and innovation a century ago.